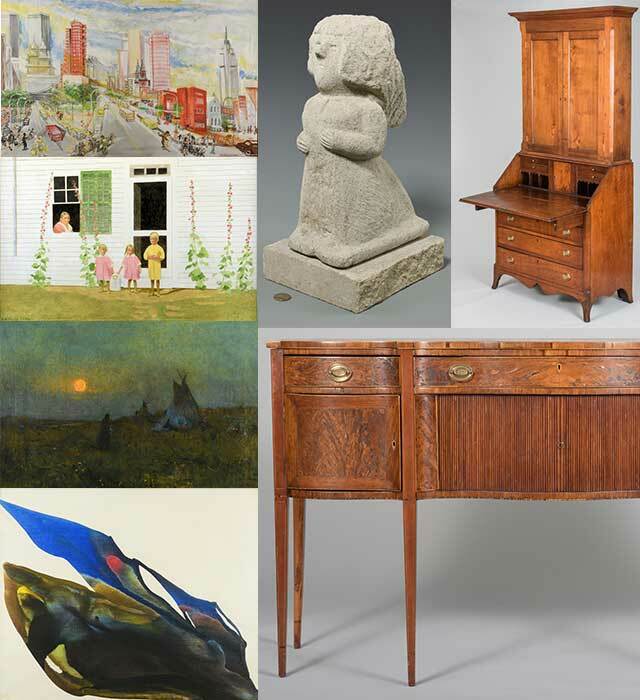 Art, antiques, and jewelry from several fine Southern estates and private collections, including the living estate of Charles and Ann Wells of Nashville, property of a Knoxville Gentleman, and folk art from the collection of the Regional Arts Center of Cannon County, TN. 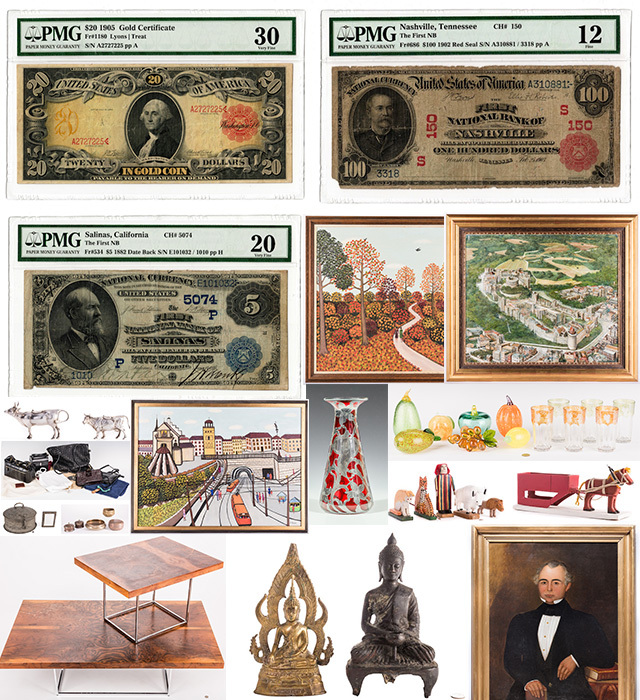 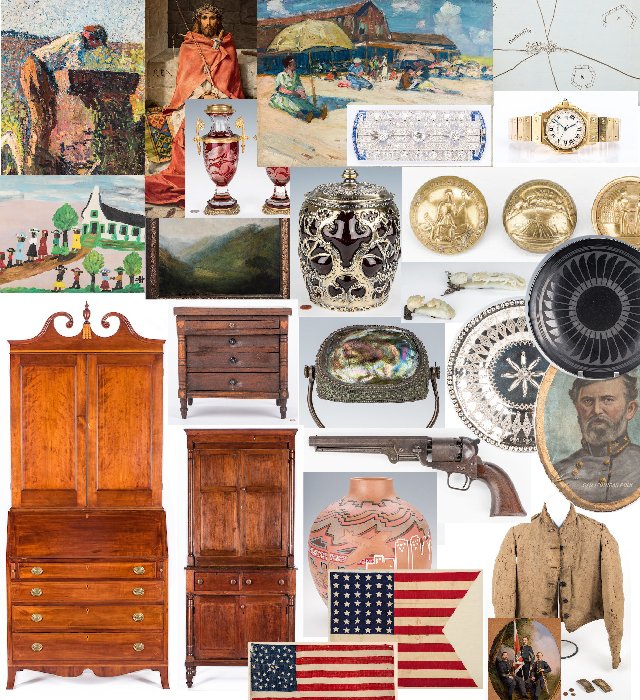 Over 900 lots, featuring art, antiques, maps and books from the collections of Dr. and Mrs. Benjamin H. Caldwell and Charles and Ann Wells of Nashville, folk art from the collection of the Regional Arts Center of Cannon County, TN. 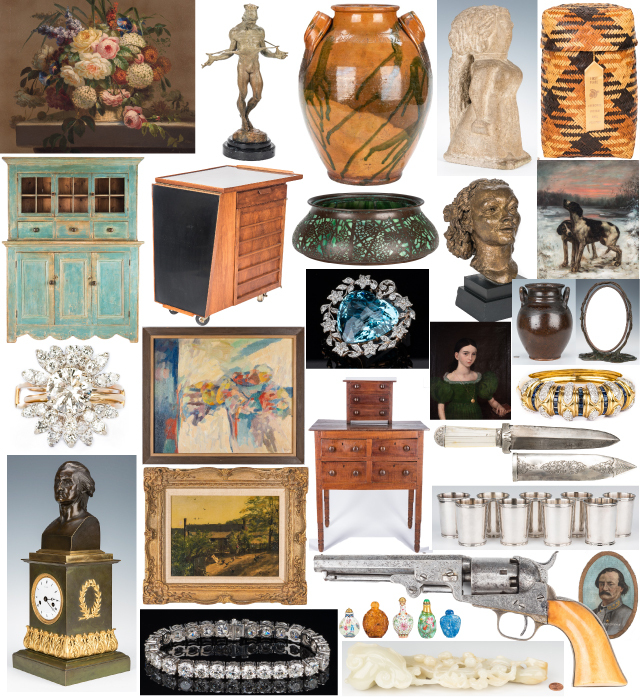 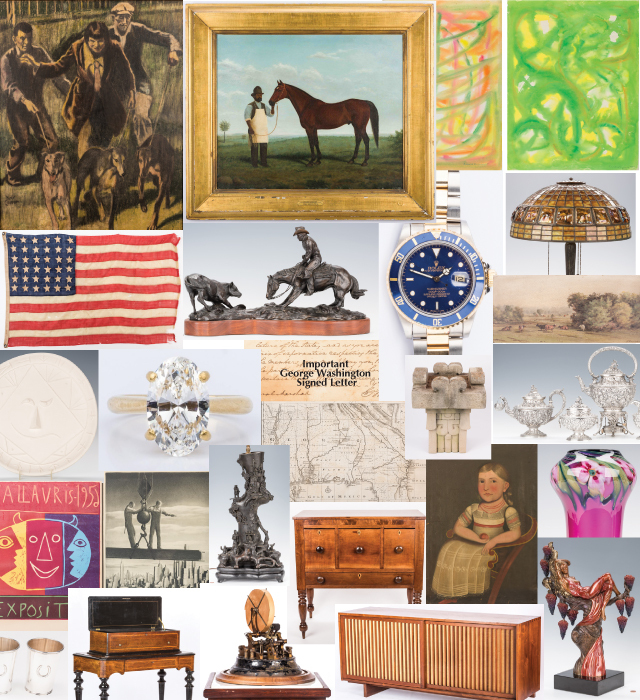 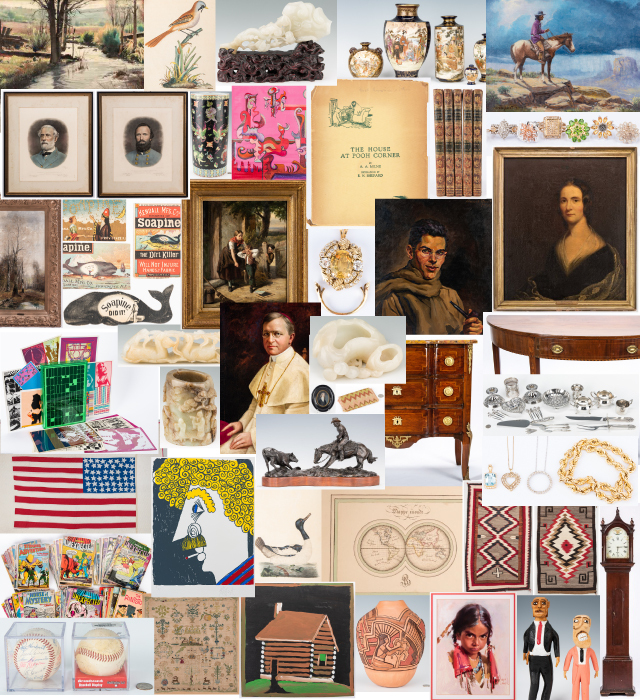 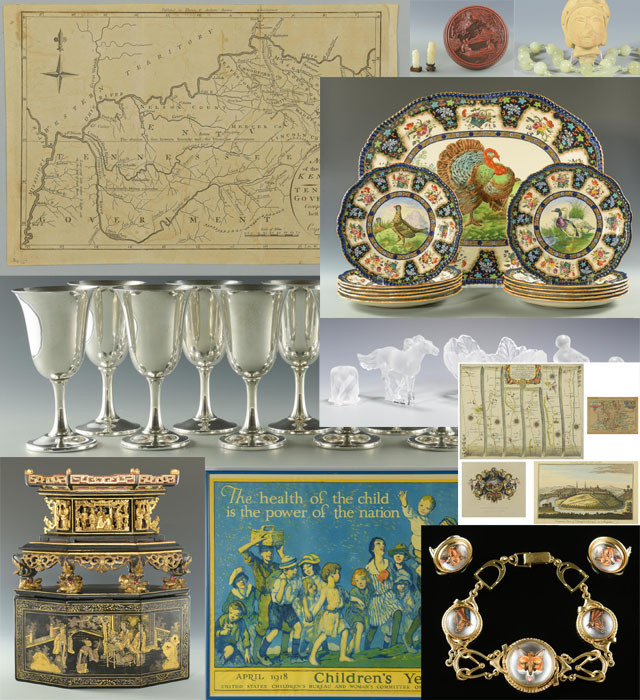 ; and art, antiques and jewelry from several other fine Southern collections and estates. 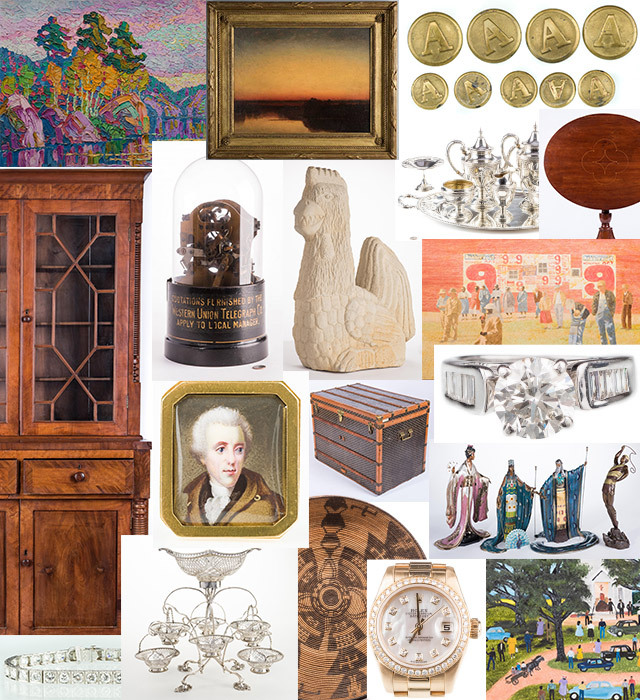 Featuring part one of the Charles and Ann Wells collection of Southern maps and books, as well as fine art, silver, jewelry, Asian decorative arts, mineral specimens, porcelain, glass, and rugs from Southern estates and fine collections.